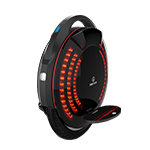 The INMOTION SCV is a smart electric, self balancing sensor controlled vehicle. With instinctive operation and a thrilling drive experience, INMOTION SCV provides you a whole new way of urban commuting and touring. The INMOTION SCV uses the latest innovations in self-balancing technology to expertly respond to your body movements, ensuring that you always remain perfectly balanced. 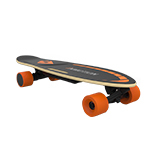 INMOTION’s electric powertrain delivers exhilarating performance. Designed for a spontaneous driving experience, the INMOTION SCV provides you with a sense of power, speed and absolute control. 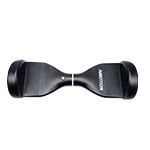 Thanks to the high-powered motors, INMOTION SCV acceleration and deceleration is smooth and instantaneous. 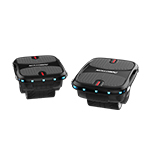 INMOTION SCV is the smallest and most deft Sensor Controlled Vehicle on the market. Weighing in at of 16kg/35lbs and boasting a shoulder-sized footprint, it expands your living radius to many miles beyond your home yet still allows you to navigate through a bustling crowd with precision. 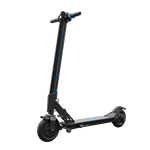 The INMOTION SCV is incredibly easy to operate—most people learn how to ride it in less than ten minutes. INMOTION SCV is eco-friendly and energy-efficient. 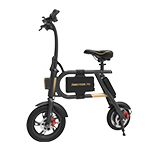 The all-electric INMOTION SCV, an emission-free vehicle for urban commuting and touring, efficiently turns kinetic energy into electrical energy every time it goes downhill. In app mode, the INMOTION SCV can shift automatically: balance mode when driving, remote control mode when disembarking, assist mode when walking. Switch freely between the modes with ease. INMOTION SCV offers deftness and agility that will exceed your imagination.